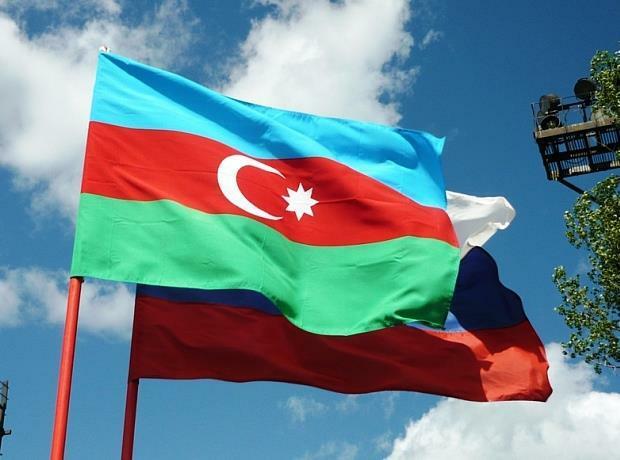 Russianexports to Azerbaijan increased by 12.5 percent to $ 1.7 billion in 2018, while the trade turnover between the countries grew by 13.8 percent and reached $ 2.4 billion, AZERTAC reports referring to the RussiaExport Center (REC). 'Azerbaijan is a modern, dynamically developing country that attracts Russian companies to implement joint economic projects. More than 750 joint ventures operate in the Azerbaijani market, including about 300 with 100 percent of Russian capital and over 450 in a joint venture format, head of the REC AndreySlepnev told TASS. He noted that active work is underway to diversify the economy and develop joint ventures. One of the results was the creation of the GAZ car assembly plant in Azerbaijan. In February of this year, the foundation stone of the new production of commercial vehicles and special equipment was laid. 'We have created an effective platform for communication between Russian and Azerbaijani companies. In 2018, the REC supported Russian exports to Azerbaijan totaling about $ 284 million, stressed Slepnev. REC is a state institution supporting non-resource exports, providing Russian exporters with a wide range of financial and non-financial support measures. The mission of the REC is to support and develop non-resource exports through participation in public policy and the creation of a single effective development institution. REC office has been working in Baku since December 2017. It is an additional powerful tool for increasing trade between two countries, giving a new impetus to bring potentially interested exporters of Russian non-oil products to the Azerbaijani market. The mission of the representative office is to assist Russian exporters and Azerbaijani buyers of Russian products in the selection of relevant partners, participation in exhibitions and business missions, assistance in the implementation of financial and non-financial support for joint projects, as well as in third country markets, assistance in removing barriers for joint projects and etc. According to the agency, Russian exports to Azerbaijan in 2018 were mainly formed by the following product groups: food products and agricultural raw materials - $ 422.1 million, machinery, equipment and vehicles- $ 381.6 million, metals and products from them - $ 315 , 9 million, wood and pulp-paper products - $ 238.1 million, as well as chemical products, rubber - $ 198 million. At the same time, Russia imported foodstuffs and agricultural raw materials worth $ 526.1 million, mineral products for $ 103.6 million, textiles, products from it, shoes - $ 35.9 million and etc. Azerbaijan is one of the main economic partners of Russia among the CIS countries and Russia remains one of Azerbaijan's main foreign trade partners. Interregional cooperation plays an important role in the development of Russian-Azerbaijani trade and economic relations and the increase in trade turnover. Russia ranks first in terms of export of non-oil products from Azerbaijan. So far, the value of investments by Russian companies in Azerbaijan amounted to $4.4 billion, and the value of Azerbaijani investments in Russia stood at $1.2 billion. Russia is a strategic partner of Azerbaijan. The legal framework between the countries includes over 180 documents, including about 50 in the economic sphere. Recently, Azerbaijan-Russia business forum was held in Baku .